Do you fear bad news every year when tax time comes around? If you answered yes, then you need the unique skills of Ewerth & Associates, C.P.A., P.C. to reduce your taxes and preserve your wealth. As a Certified Tax Coach, we specialize in finding loopholes that average tax professionals miss, providing our clients with big savings. When you work with us, we"ll design an effective and legal tax strategy to minimize your tax burden, so you can hold on to more of your income. At Ewerth & Associates, C.P.A., P.C. , we understand that tax planning must be proactive, not reactive. As your Certified Tax Coach, we employ tax reduction strategies throughout the year to manage tax obligations and increase tax savings at year end. 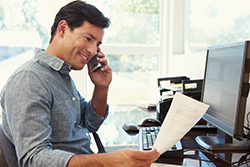 Many accountants and CPAs contact clients just once a year, however, we stay in contact with you to guide you through financial decisions that could impact taxes. With us on your side, you can rest easy knowing you will never overpay on your taxes. We know how to examine the U.S. tax code and find every tax loophole, deduction, incentive, and break to reduce your taxes. We are on constant watch for revisions to state or federal tax regulations and will use every legal means to bring you the best tax savings possible. Request your free consultation today by calling us at 402-486-3777. 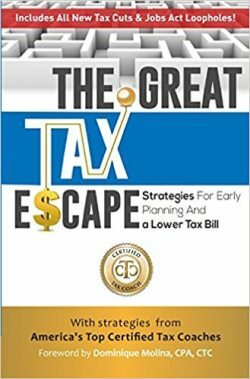 As a thank you gift for scheduling your consultation, we'll provide a free book, The Great Tax Escape.